Double click on the above link, or cut and paste to your web URL address bar. When at the site scroll down to the program identified with the logo, the graphic above, on the left side of the program description. 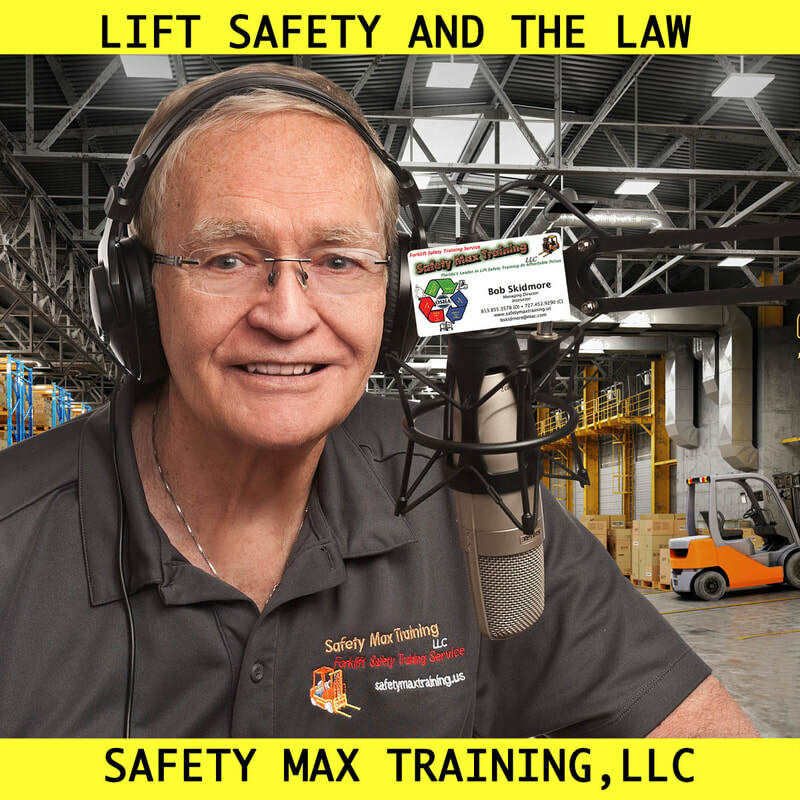 The LIFT SAFETY AND THE LAW program speaks to the laws and requirements that are in the OSHA Rules & Regulations regarding management's obligations. It's an easy way to ensure that you understand your obligations and validate that your company is in compliance. This site also contains other podcasts entitled, "CONVERSATIONS WITH THE GADGETEER", an on-going series of episodes about GADGETS, TECHNOLOGY, TIPS, NEWS, AND CONVERSATIONS ON HOW TO MAKE SENSE OF IT ALL. All podcasts are hosted by Bob Skidmore and may include special guest appearances by experts in the particular field, or topics being discussed.